September 9, 2018 10:12 am. Romantic Touch wins the Kwangtung Handicap Cup for Karis Teetan and Tony Cruz. Source: HKJC. Romantic Touch (121lb) carried off the Class 1 Kwangtung Handicap Cup (1400m) at Sha Tin Racecourse this afternoon, Sunday, 9 September, and sparked a three-win spree for a new alliance. That tally represented two more wins than the pairing enjoyed in the whole of last season when Teetan had 12 rides for the Cruz stable, the last of which, back in June, yielded a Group 3 success with California Whip. The Mauritian lightweight arrived at the track today without a win in the season’s opening two fixtures but there was no evidence of wilting confidence. Teetan’s handling of Romantic Touch inferred the opposite, in fact, marching to the lead and then winding up to hold off race favourite Rattan (118lb) by three parts of a length in a time of 1m 21.72s. “Romantic Touch is a tough little horse,” the rider said of the 7/1 chance. Cruz is looking towards the Group 3 Celebration Cup (1400m) on 1 October as the eight-year-old’s likely next target. “Karis rode a perfect race on the lead,” the handler said. “It’s early days,” Teetan said. “The first two meetings were quiet but I just put my head down and kept working harder and I knew that I had a few nice rides coming up. 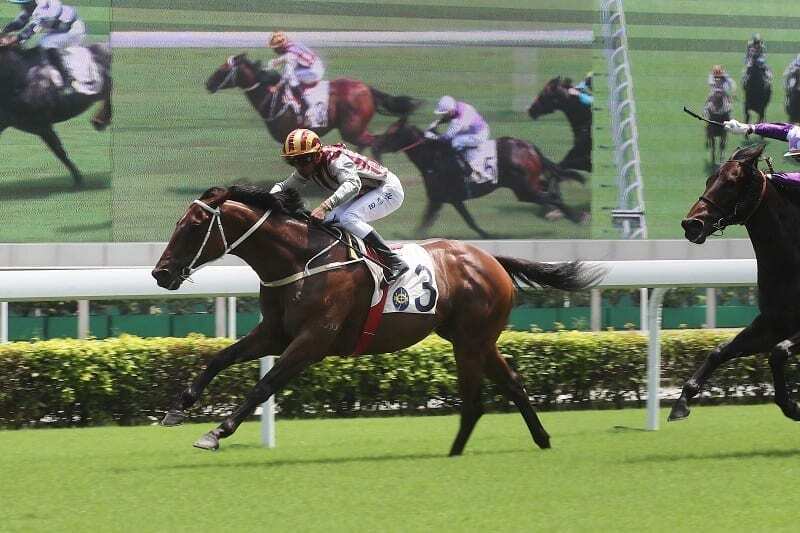 Me Tsui, meanwhile, was not on site to cheer Great Treasure to victory under Alberto Sanna in the Class 4 Shenzhen Handicap (1600m), or see the Ho-ridden Go Public snag a last-gasp score in the Class 3 Chaozhou Handicap (1200m, all-weather). The handler was instead in Seoul, Korea, watching his Fight Hero run a close second in the KOR Group 1 Korea Sprint (1200m).